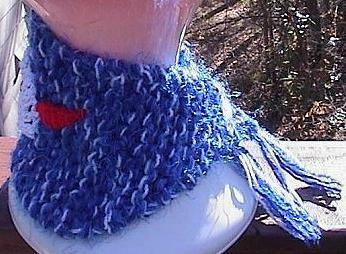 This neckwarmer was handknitted by me. 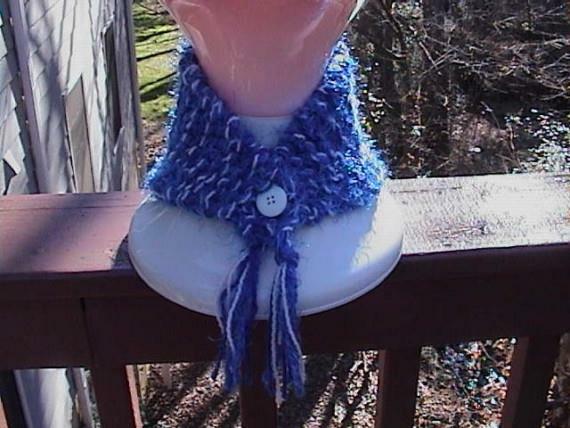 The yarn is a mixture of 2 shades of blue, one is furry, and a pretty wrappped offwhite yarn. It is tightly knitted and very warm. 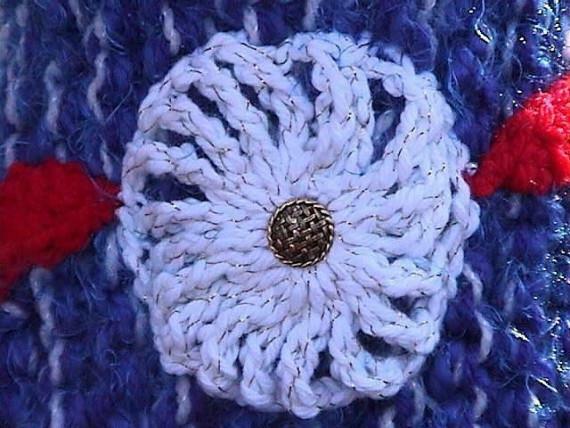 It can easily be adjusted to your neck size by inserting the pretty white button through any of the knitted stitches. Just slide it through. The button is firmly attached but hangs loosely so to pull through the stiches for closure. 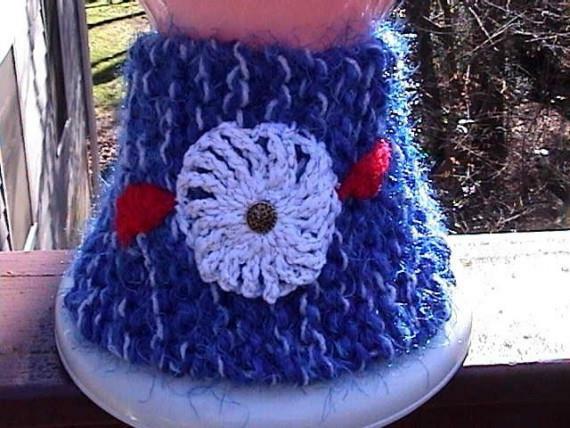 I added the pretty crocheted WHITE flower embellishment on the back for femininity. Not scratchy. Furry and neat.